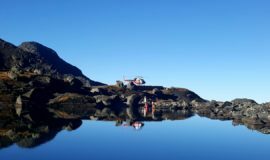 The Simrik air sky tour to Everest takes you around the beautiful and exotic peaks with multiple options of enjoying the heli ride to Everest. You can take a tour to Syangboche (HEV) to have breakfast simultaneously enjoying the mesmerizing view of Mt. Everest and the surrounding peaks. You can also choose to stop by at “Kala Patthar” to take some snaps or can also choose to do an Everest Overfly heli ride. 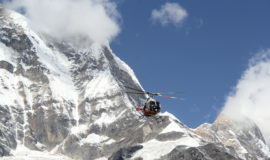 If you are a real adventure seeker, you can try the REAL EVEREST ADVENTURE Heli Tour to enjoy the closest view of Mt. Everest and the surrounding peaks. 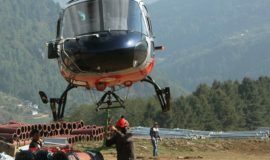 Simrik Air helicopter tour of Everest is so far the best aerial tour in the world. 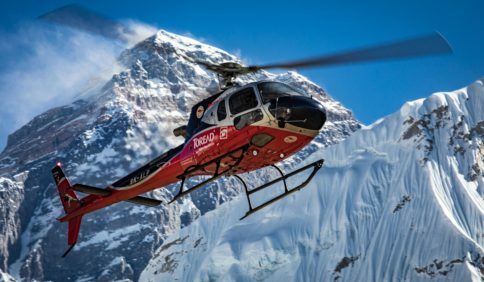 The total Everest Sightseeing flight will be of round about 3 hours where Simrik Air takes you to one of the best heli rides to Everest as closest as ever; since our Everest flight is known as one of the closest Everest flights in Nepal as we overhead icefall and be 1-2 NM closest to Everest. 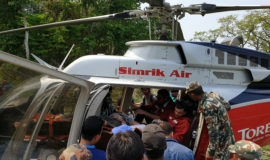 We are assured that this flight gives you a lifetime Experience of Everest tour by Simrik Air. Closest view of the mountain peaks (Mt. Everest, Mt. Cho-Oyu, Mt. Lhotse and many more). Delicious breakfast in the highest lodge of the world.